We have built our reputation predominantly as a leading supplier to the trade in Essex and surrounding counties, having been established in 1993. Over the last few years a change of premises has enabled the company to source and import direct from producers giving further cost to quality benefits and greater control on exclusivity. It takes a lot more work and capital but is a natural progression for a serious merchant and complements the work we do with major prestigious agents where we have regional distribution agreements. Founder and Managing Director Brian Wilks has a long history in the wine trade which he thought worth telling below. “Are you sitting comfortably? If not there’s a cream for them. 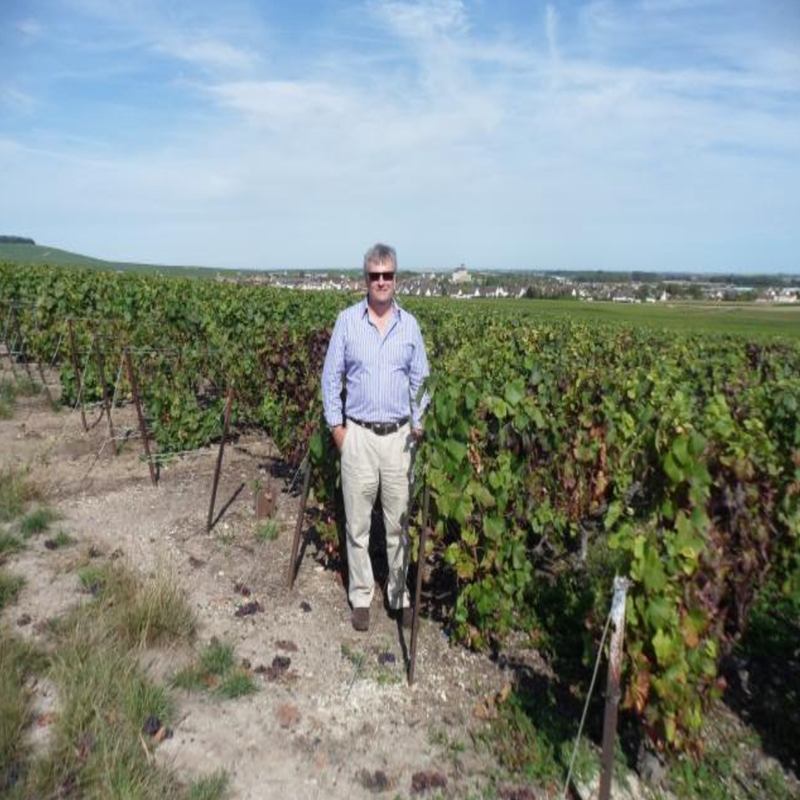 My career in the wine trade started in 1976 with Victoria Wine where I passed my Diploma and became a Shop Manager in my early twenties. It was at this shop in Shenfield that one of my customers offered me a job in his new Company, as Manager. Enforced ridiculously low stock levels and mind numbing corporate mentality were driving me mad so I took him up on the offer. I became the General Manager and quickly decided the way forward was to sell to restaurants and other trade customers. With no experience I braved the sales world and gradually built the business purely by showing enthusiasm for the wines, which were nearly all imported directly into our warehouse, something that has been of immense help to this day. Unfortunately the business was sold to another Merchant who asked me to join them and look after the trade accounts. Then they sold out to a well-known Merchant in Colchester who eventually didn’t think they needed my services. During my gardening leave I was approached by some customers to supply them, started the business and the rest is, yes you guessed it, history. So here I am now past my half century, sailing a bit, tasting a lot, drinking a little (truly) and looking forward to finding new growers and moving the business forward with the help of my young team”.